Aspect Biosystems Ltd is an industry award winning biotechnology company operating at the leading edge of 3D bioprinting and tissue engineering. 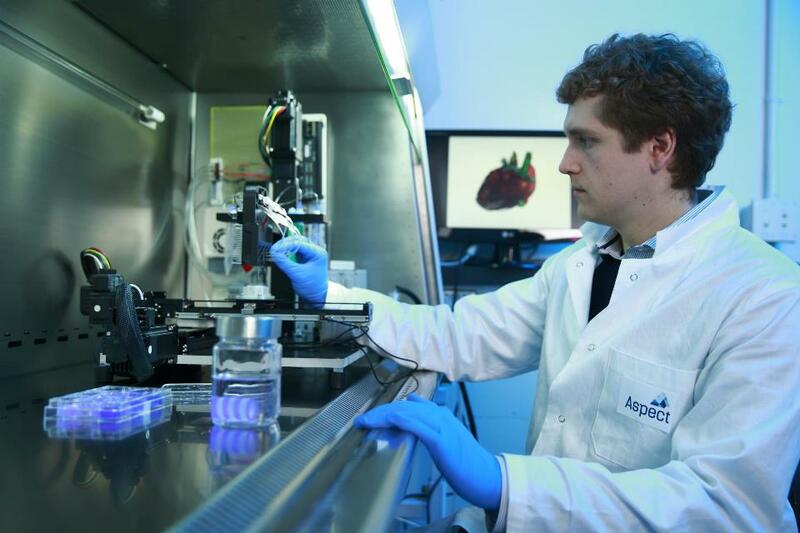 Founded at the University of British Columbia in Vancouver, Aspect’s disruptive 3D bioprinting platform is based on a proprietary Lab-on-a-PrinterTM technology. This technology combines and sequences complex biomaterials for broad applications in preventative health and life sciences, including regenerative medicine and orthopaedic applications. Aspect’s technology uses a multifunctional microfluidic print head capable of programmatically manipulating and sequencing multiple biomaterials, living cells, extracellular matrix content, growth factors, bioactive compounds and other bioinks ‘on the fly’ during tissue printing. In January 2017, Aspect announced a partnership with Johnson & Johnson for 3D printing development of an artificial meniscus, creating new opportunities for improved lifelong activity. An Aspect meniscus has the potential to replace a torn and damaged meniscus, avoid ineffective clean up surgery with a like new shock absorber for the knee, reduce the incidence of knee arthritis, and improve potential for healing. 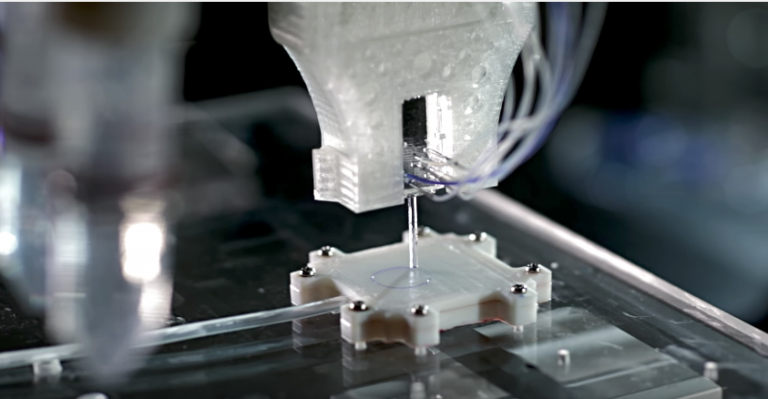 Check out Aspect’s bioprinting process with this link. 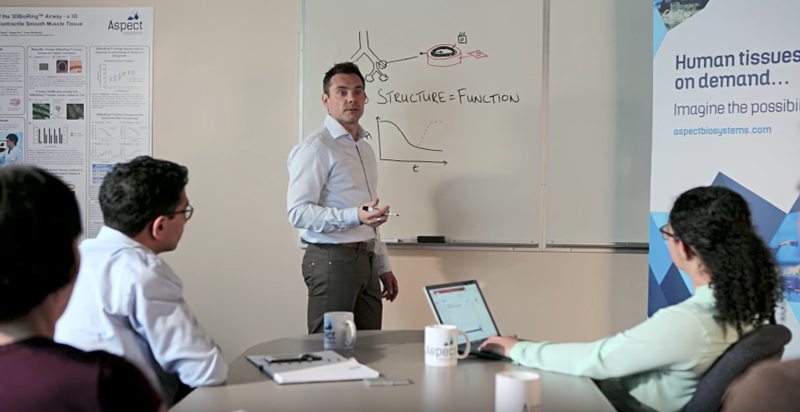 Co-Founder and CSO, Sam Wadsworth leading a discussion on 3D printing materials structure translating into living tissue function. Human tissues on Demand … imagine the possibilities.